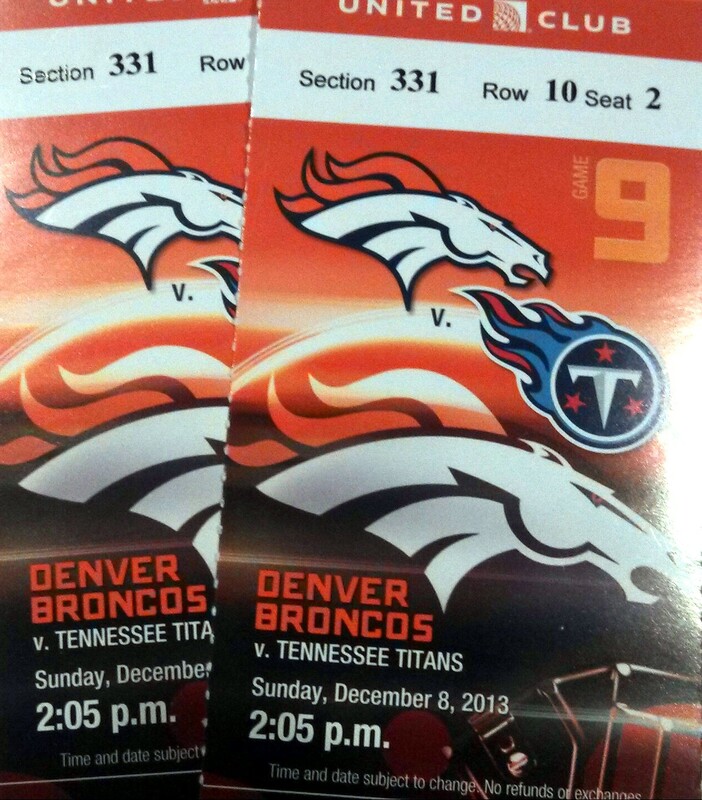 In early December my husband gave me and my dad an awesome early Christmas gift – tickets to see the Denver Broncos play in Denver. 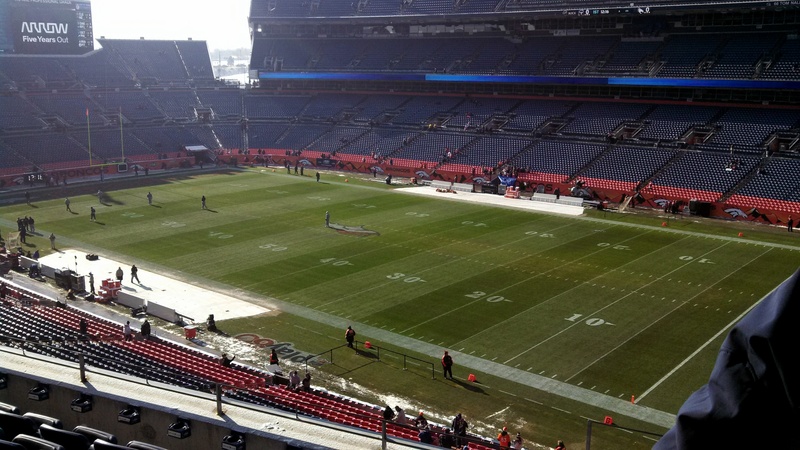 Dad grew up in Denver and I was born there and we’re both massive fans. It’s unfortunate the temperature was soooooo cold that day (the title is stolen from one of the signs we saw at the stadium) but at least we were in the sun while it was still up. 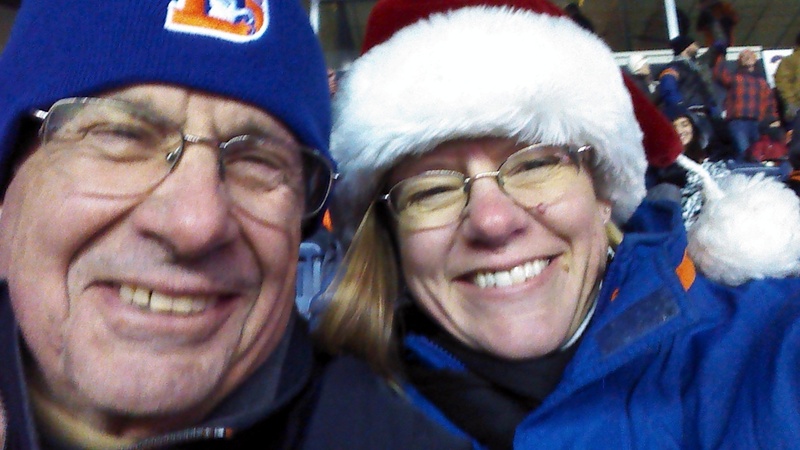 Honestly, if our feet hadn’t been so cold we’d’ve done fine – I had my warmest hat on and we were bundled up. It was spectacular (except for the 45 minute standing-in-line outside part waiting for a cab afterwards, and even that was fun in its own way). I couldn’t believe it when my husband handed me these! After we landed I told the cab driver the hotel and my dad kinda flipped out. All I knew was it was a Marriott affiliated property – but it turns out the Brown Palace is really really famous and it’s where my dad’s senior prom was held. It’s very fancy. 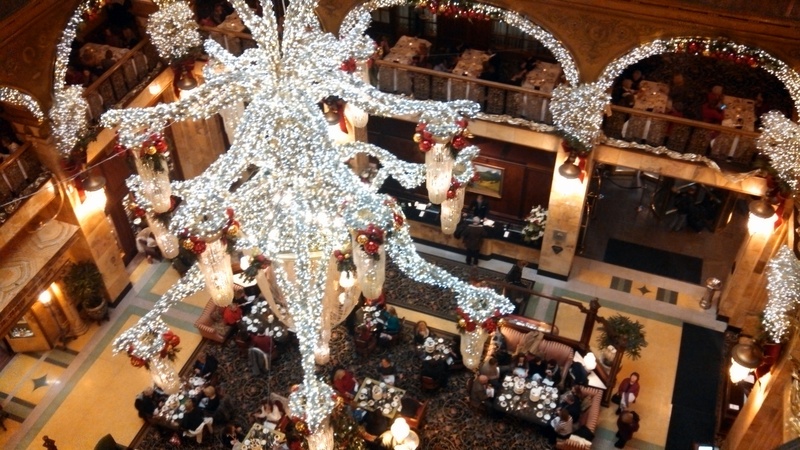 The Brown Palace was all dressed up for the holidays. 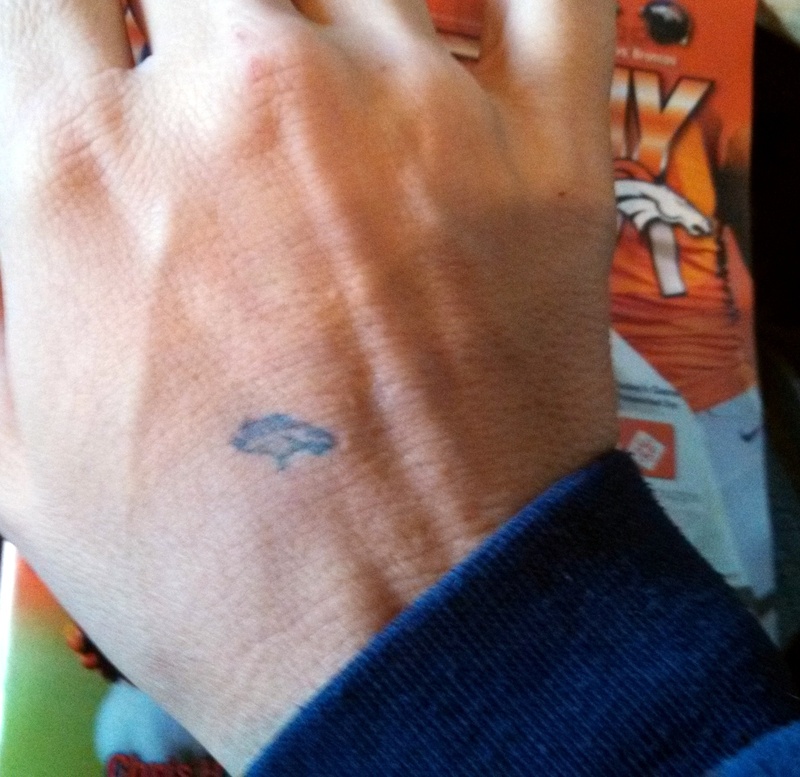 Here’s my adorable Bronco hand-stamp that (along with my stamped ticket) got me into the indoor club area. The festivities you don’t see when you’re watching on tv are a lot of fun! 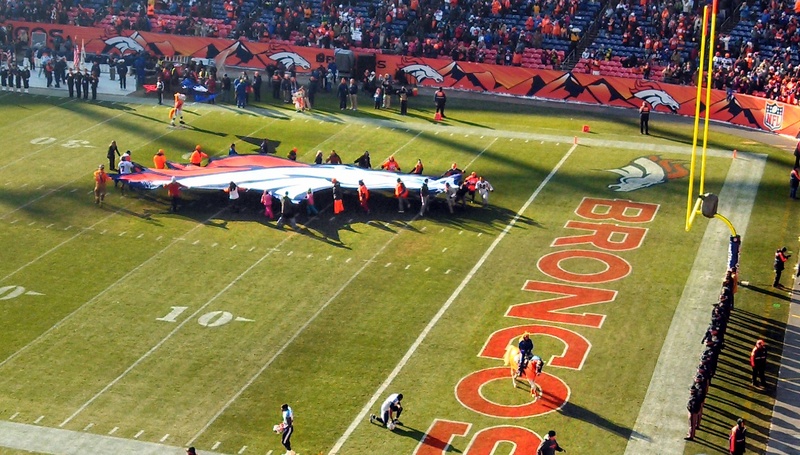 That giant Bronco head was being rotated constantly. There’s an adorable little kid that runs out and grabs the kickoff tee each time, and he stopped and saluted all four sides of the stadium each time. SO CUTE. And every time the opposing team had a pass not caught, the announcer would prompt the fans and we’d all yell IN-COM-PLETE! together. Great view of the Bronco! This is a seriously big Bronco! 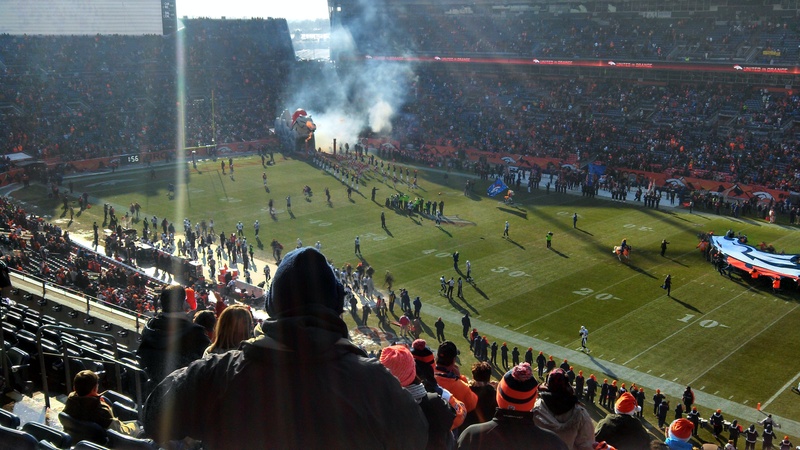 And I don’t know how my husband managed it, but this was the game in which a new NFL record was set – we saw a 64 yard field goal kicked and it cleared the goalpost right in front of us just barely (in fact we didn’t realize it was good at first). SO EXCITING! 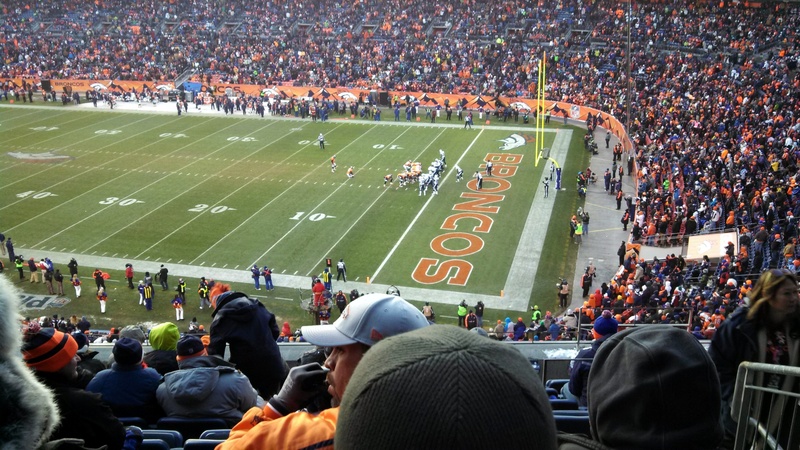 Denver lining up for an extra point after scoring a touchdown – this is the goalpost the record-setting field goal *just* cleared. It helped that we won the game by a lot, too (though we were down by 1 at halftime, because of the record-setting field goal it felt like we were already way ahead). 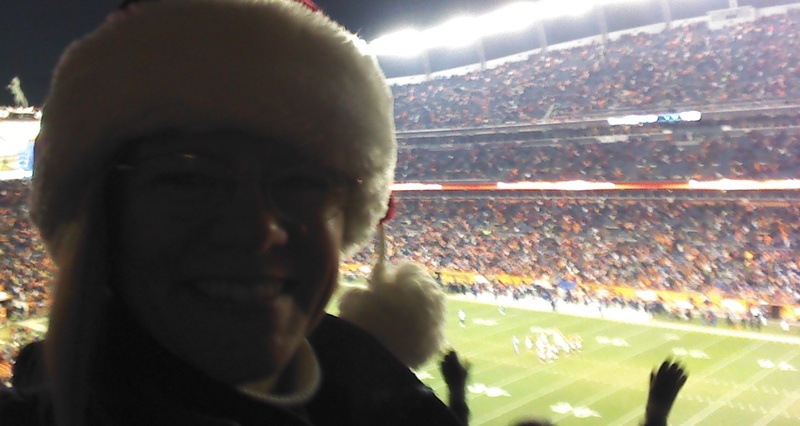 slightly dark, but here I am at the game! Me and dad, happy at the end of the victory! 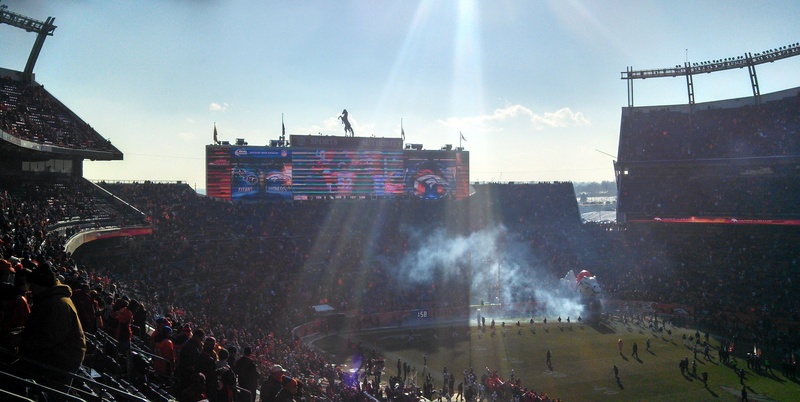 Denver is gearing up for its first playoff game later today – I’m already nervous! 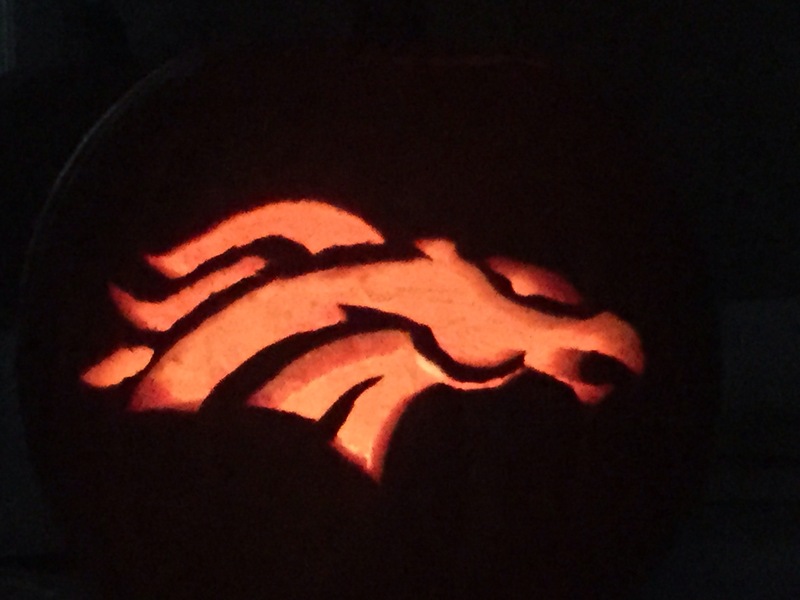 GO BRONCOS!